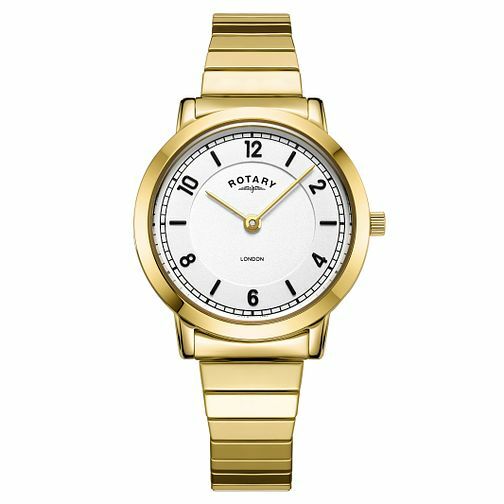 A chic and stylish ladies' watch by Rotary. A pure white dial presents alternating arabic numeral and linear markers, and two gold hands to co-ordinate with the gold plated case and expandable bracelet. A simple yet smooth design ideal for taking the modern stylish lady from day to night.